First, you’ll need to make a batch of sugar cookie dough! 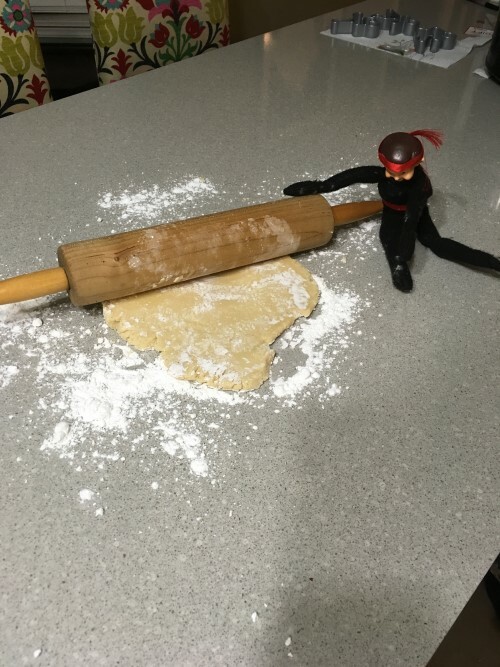 You can use pre-made dough or a store-bought mix, or find Nigel’s favorite recipe at the bottom of the page. 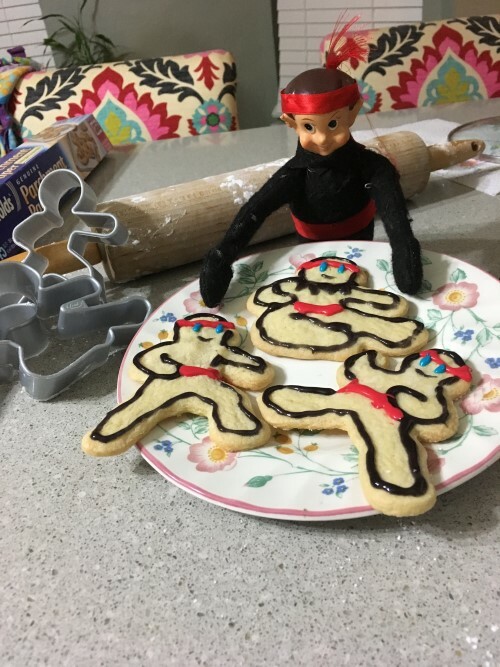 You will also need cookie cutters – Nigel used ninja-shaped cookie cutters, but plain gingerbread men would work too – as well as toothpicks, blue icing, red edible decorating gel and black edible decorating gel. Make sure your sugar cookie dough is nice and cold when you roll it out! Hint: sprinkling powdered sugar or flour on your countertop before you roll the dough out helps it to not stick. 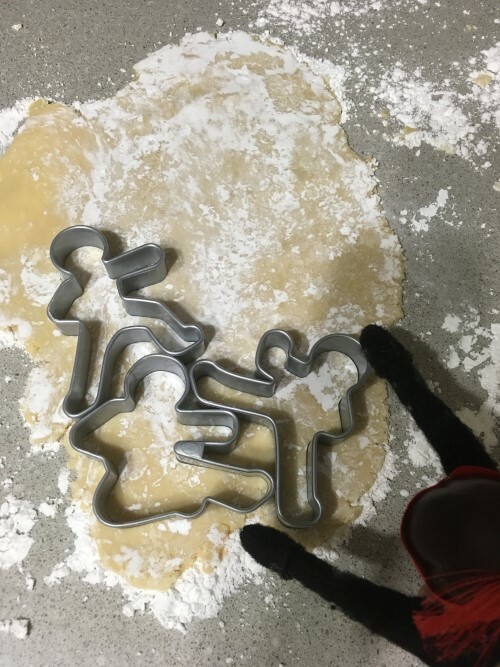 Use the cookie cutters to cut shapes out of the dough. Using a spatula, place your cookies onto a tray covered with parchment paper. Parchment paper and wax paper are not the same – make sure you get the right one! Set the oven temperature according to the recipe directions. 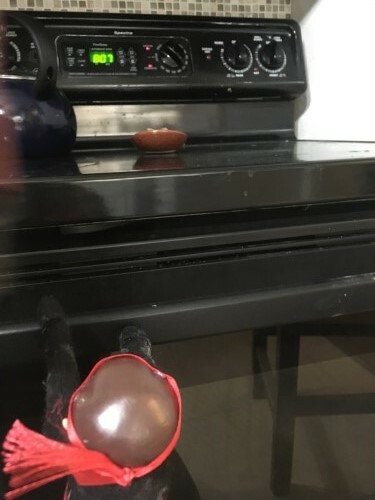 When the oven’s hot, put the cookies in (Nigel is just watching the cookies bake – he knows that only adult should put things in the oven or take them out). Set a timer and wait for the cookies to bake. Waiting is the hardest part! But while you’re waiting, you can gather your decorating supplies. When the cookies are ready, an adult should take them out of the oven. Carefully, using a spatula, transfer the warm cookies onto a cooling rack. 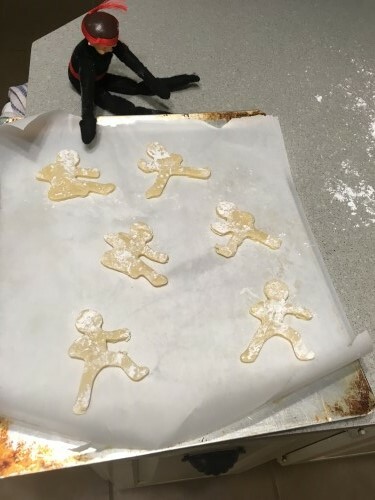 Don’t decorate the cookies until they’re completely cool, or the gel will run and mess up your designs. 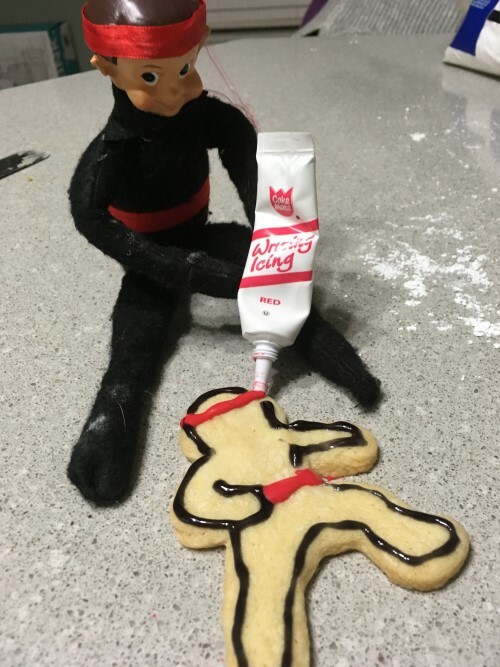 When the cookies are cool to the touch, you can start decorating. 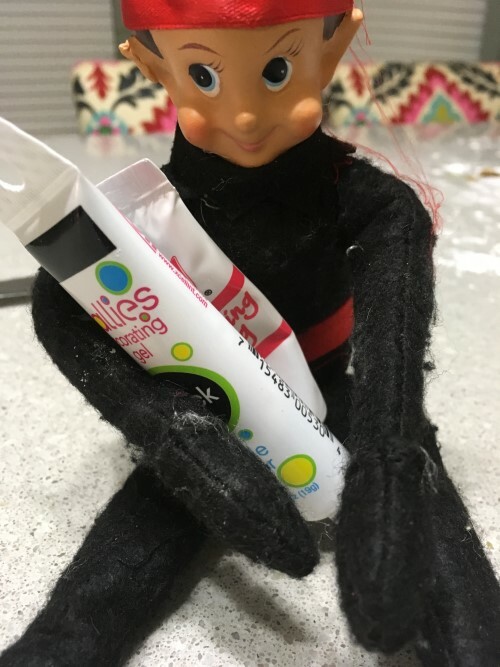 Use the black and red decorating gel to draw his ninja outfit, headband, and belt and use toothpicks dipped in blue icing for his eyes – or design your own ninjas! These cookies are great for end-of-semester school parties, dojo parties, or a special snack for Santa himself. One thing is for sure – when you set them out, they’ll disappear as fast as a ninja! 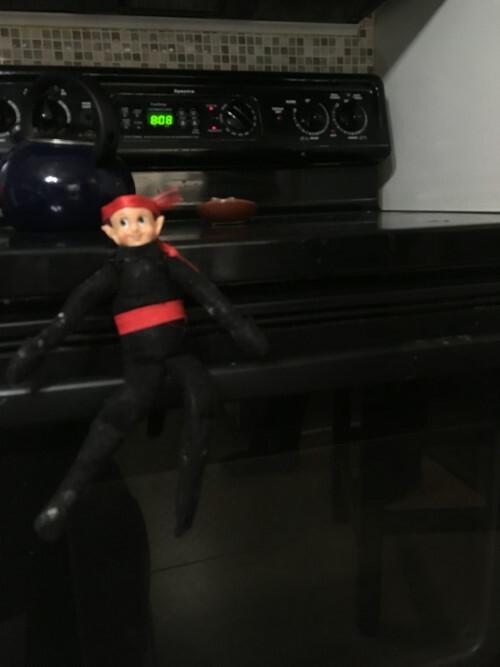 Nigel wants to help you bake cookies too! Buy your Nigel from Century today!